Access control systems are continuing to gain in their share of the global security market. This comes after a long period of time where access control growth was far outpaced by video surveillance and intruder alarms. And while access control still does not have the market share that these two areas enjoy, it’s on pace to continue its increase in market share, according to new findings from market research company Memoori in “The Physical Security Business 2014 to 2018; Access Control, Intruder Alarms and Video Surveillance. 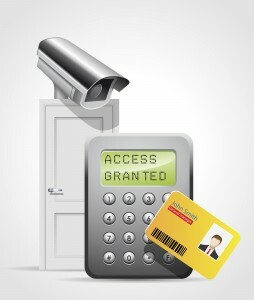 Access control/management has also combined with Physical Identity to create Physical Identity and Access Management (PIAM), which “enables common policy, workflow, approval, compliance automation and life cycle management of the identity/badge holder(employee, contractor, visitor, temps) across disparate physical security systems.” While the advantages of this are certainly clear, PIAM has not yet achieved mainstream success. Going forward, security vendors may have their work cut out for them, as the global recession has caused many customers to cut back on their security expenditures. With improved, user friendly operating systems that demonstrate proven effectiveness and potential for ROI, vendors will be able to entice customers to replace aging systems. This entry was posted on Wednesday, December 17th, 2014 at 10:38 pm. Both comments and pings are currently closed.